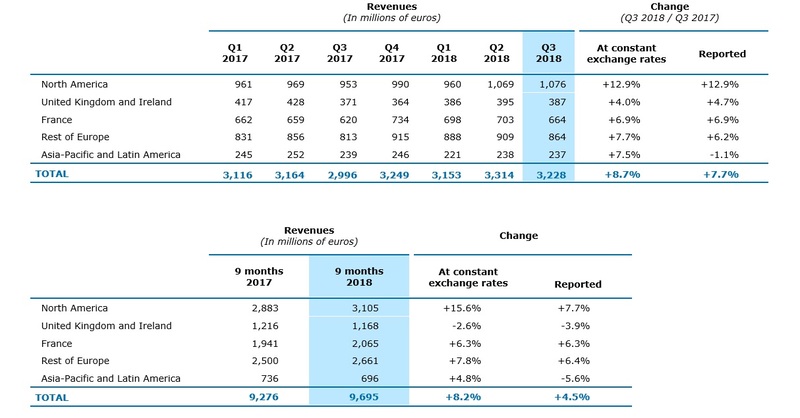 confirms its objectives to increase profitability, with an operating margin of 12,0% to 12.2% and to generate organic free cash flow in excess of €1 billion. Currency impacts since the beginning of the year are linked to the appreciation of the euro against most other currencies and primarily the U.S. dollar. The impact of changes in Group scope is expected to be around 1.8 points in Q4. Unless otherwise stated, 2017 revenue figures presented in this press release have been restated for the impact of IFRS 15, applicable from January 1, 2018.